Geopal detector GJ-EX 150 is an explosion-proof detector certified for use in zone 1. 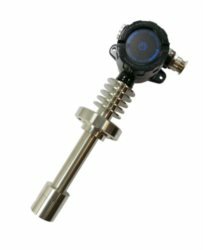 GJ-EX 150 is made of robust materials for use in aggressive environments and can be fitted with different sensors according to the target gas. For use at temperatures between 100 oC og 150 oC. Fits GJD-02C, GJD-04C, GJ-03R, GP-SA-2, GJD-L3C and GP-AMP.